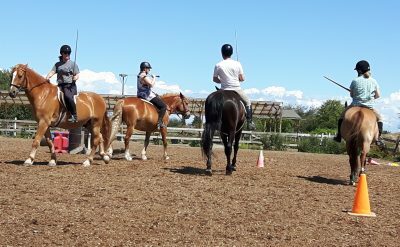 It’s been about seven years since I first posted the Horsemanship Level 1 blogs, so I feel its time for an update. Even if you already have your Horsemanship 1 it is worthwhile reviewing this material, as subsequent levels are all built upon this foundation. 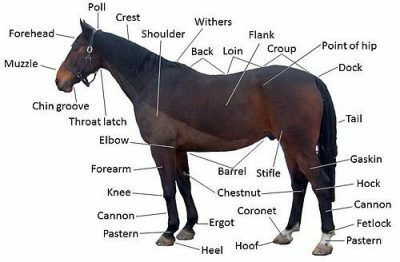 Poll, ear, muzzle, crest, mane, neck, withers, shoulder, elbow, forearm, knee, cannon, fetlock joint, pastern, coronet band, hoof, back, barrel, loin, croup, dock, tail, stifle, gaskin, hock. For higher levels of Horsemanship you will need to know face and leg markings, colour points, breeds, types, and conformation. 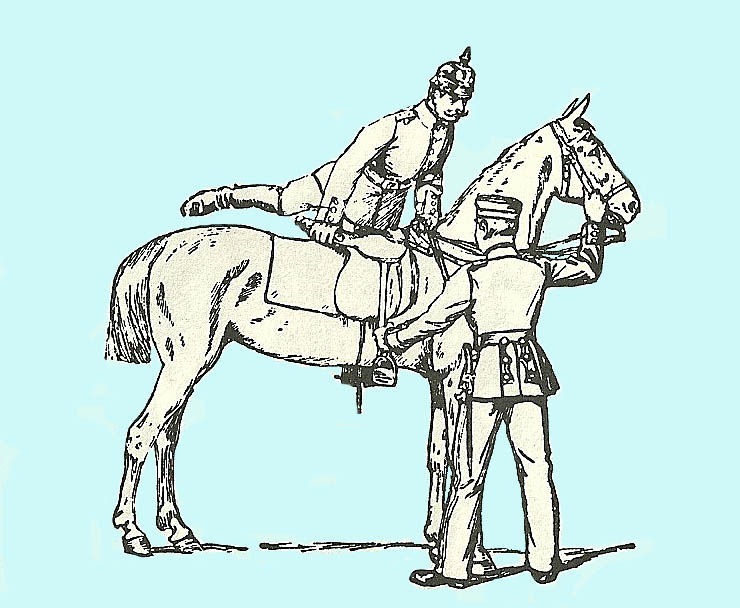 The Manual of Horsemanship is a good starting point, and there is a wealth of information available online. 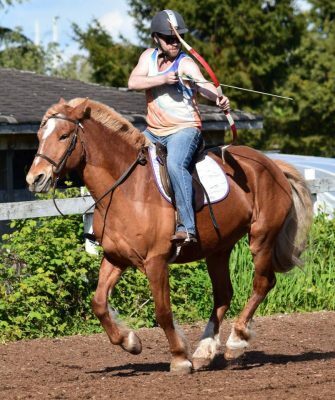 Or, immerse yourself in the week-long Mounted Combat Intensive from April 8-12, where you will spend all day learning horsemanship, riding, and historical swordplay! Want to immerse yourself completely in Historical Mounted Works? The one-week Mounted Combat Intensive is for you. 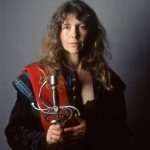 With two streams, one for beginners and one for experienced riders, this 50-hour program is appropriate for all levels of riding and swordplay. Learn horse care, history, riding, and swordplay while you bond with a horse you’ll groom, feed, and ride twice a day for a week. 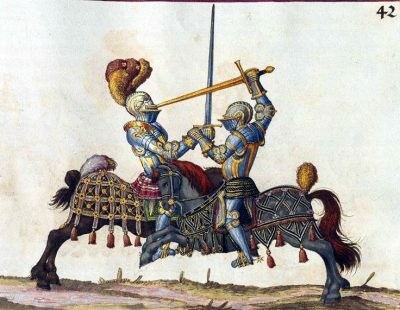 Experienced riders are welcome to bring their own mounts to introduce them to mounted swordplay and knightly games. Read more about the course here. 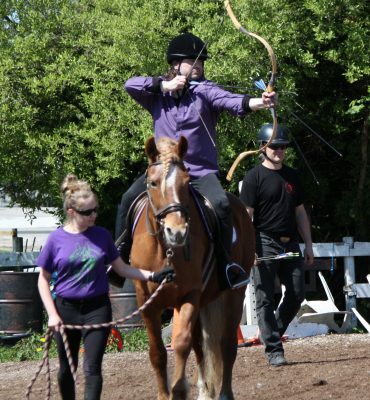 If you’re taking the Intensive, why not stay another day and learn mounted archery? Our Beginner class is ideal for riders and archers of any level who would like a been-there-done-that school horse and a handler to lead the horse. Riders who are comfortable at trot and canter may choose to come off the leadline. You will spend approximately an hour and a half on the ground learning Hungarian archery techniques, followed by a chance to mount up and try your hand at shooting from horseback. Don’t see a course date and time that works for you? Contact Academie Duello’s front desk at 604 568 9907 to book a private class or a two hour Knight Adventure.